On June 5, 1947, Secretary of State George C. Marshall stood on the steps of Memorial Church in Harvard Yard, accepted an honorary doctorate, and delivered the commencement address to the graduating seniors. In that speech, Marshall outlined the need for an economic aid plan to help the devastated nations of Europe and their citizens to recover from the ravages of World War II. “It is logical that the United States should do whatever it is able to do to assist in the return of normal economic health in the world, without which there can be no political stability and no assured peace,” Marshall proclaimed. Thus was born the Marshall Plan. The anniversary of that speech is a reminder of the profound effect that U.S. action can have in rebuilding countries ravaged by war, encouraging free trade, and spreading democracy. It is also a reminder of the essential role that a fact-based, independent think tank can play in forging bipartisan compromise. 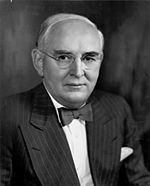 When Congress began to craft the European aid program proposed by Marshall, Senator Arthur H. Vandenberg, chairman of the Senate Foreign Relations Committee, contacted Brookings President Harold G. Moulton and asked for the Institution’s help. Letter from Sen. Vandenberg to Harold Moulton, Dec. 30, 1947. Brookings “immediately responded in the highest spirit of cooperation and diverted its entire staff to this inquiry,” Vandenberg later noted in a Senate speech. 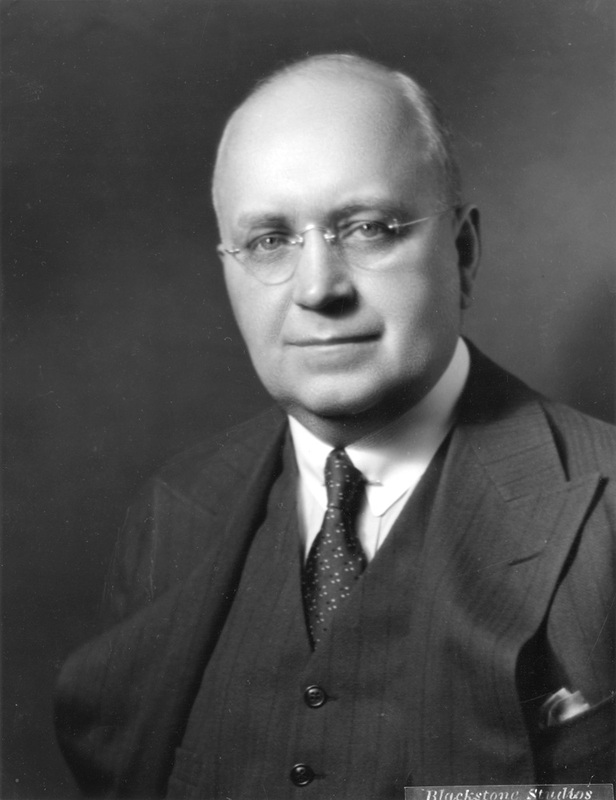 Leo Paslovsky, head of the international studies program at Brookings, led the effort. In less than four weeks, on January 22, 1948, Brookings produced a 20-page report, containing eight specific recommendations for the structure, focus, and operating procedures of the Marshall Plan, which was officially named the European Recovery Program. The Brookings recommendations declared that the “magnitude and special character” of Europe’s desperate need for help “require the creation of a new and separate American agency” headed by a Cabinet-level official with direct access to President Truman. Brookings also recommended that an American “Special Representative” be appointed to manage the recovery program in each country receiving aid, with a rank second only to the U.S. chief of mission. Cover page of the Senate Committee on Foreign Relations report on a European Recovery Plan, January 22, 1948. Click image for full report. By the first days of April 1948, the U.S. Congress—rejecting complaints about helping wartime enemies Germany and Italy—approved the historic aid program first proposed by George Marshall 11 months before. The results were obvious almost immediately. Within two years, Europe’s economic production had jumped 25 percent above pre-war levels. And within four years, Europe’s economic production had soared 200 percent. By the time the European Recovery Program wound down at the end of 1951, the United States had channeled more than $12 billion (in 1947 dollars) to 17 nations across Europe. Indeed, the rapid recovery from the devastation of World War II—stimulated by the Marshall Plan—assured that the citizens of Western Europe would not be tempted by the utopian promises or military menace of Communism. The Soviet Union and its Communist satellite states in Eastern Europe were invited to participate in the Marshall Plan, but they refused, thereby condemning their citizens to decades of depravation under socialist economic systems and totalitarian governments.